It’s interesting looking back on my posts from January to see just how often the word TIME is mentioned or as a theme for the actual post! In fact over half my posts in January have the theme of TIME! Grab a cuppa, make yourself comfortable and settle in for a chat as we look back over the month together. In case you didn’t know it’s been a sizzling HOT summer down-under. In our little town we have had only one day under 30 degrees celcius (86F) throughout January and that day the temperature was 29.9C 🙂 A few days it climbed to over 40 (104F) degrees which made it difficult to even leave the house. We have also had wild summer storms with giant hailstones and gusty winds which all but ruined my delightful sunroom in the garden. Thankfully the Mathematician is on the job and thinks he can put it back together again. January was a great month for catching up with family members. Surprisingly, it turns out I was away more days than I was at home during the month (my bag stays packed and ready in my bedroom these days) with visits to Melbourne, Canberra, Brisbane and the Mathematician visited Nowra on the South Coast of NSW. My mother, brother and I enjoyed a few days away at a tranquil rainforest retreat in the hinterland of the Sunshine Coast in Queensland as we remembered the first year anniversary of losing my dad. I also caught up with my youngest daughter while up north, and that was a real bonus! My middle daughter and my granddaughter live closest to me, in Canberra (a mere 3 hours drive away), and I managed to catch up with them during the month too, which is always such fun. While out walking with Emilia in the pram as my daughter had an appointment, I was taken for her mother – I think they need their eyes checked but I thought I’d just mention it here anyway! Oh my, Emilia is growing up so fast, slow down baby girl! My eldest daughter lives in England and we had a few FaceTime chats with her, marvelling at the difference in temperatures and weather conditions as well as catching up on all the news. I love technology and being able to see her lovely face. So all in all, I ‘saw’ most of my family during the month. While I was up north with my mother, my husband was spending time with his mother and sister and entertaining the Exchange students – so between us we’ve been very family orientated. Family is everything when all is said and done! While I was in Melbourne with my sister, the Australian Open was on. In previous years we had been regular tennis visitors but not so much in recent times. As my sister had lots of visitors planned, and at her suggestion, I took myself off for a day at the tennis. It was a humid, showery day but I enjoyed myself immensely with hundreds of thousands of other people! I managed to write a few fun posts during the month but the best thing to happen was meeting up with a blogging friend in real life (IRL). Sue, from Sizzling Towards 60 and Beyond, and I have been blogging friends for ages but had never managed to meetup in person, mainly as she lives thousands of kilometres away from me! But it happened just last week and we chatted away like old friends despite never having actually ‘met’ each other before. My mum was with us and thoroughly enjoyed the catch up too. 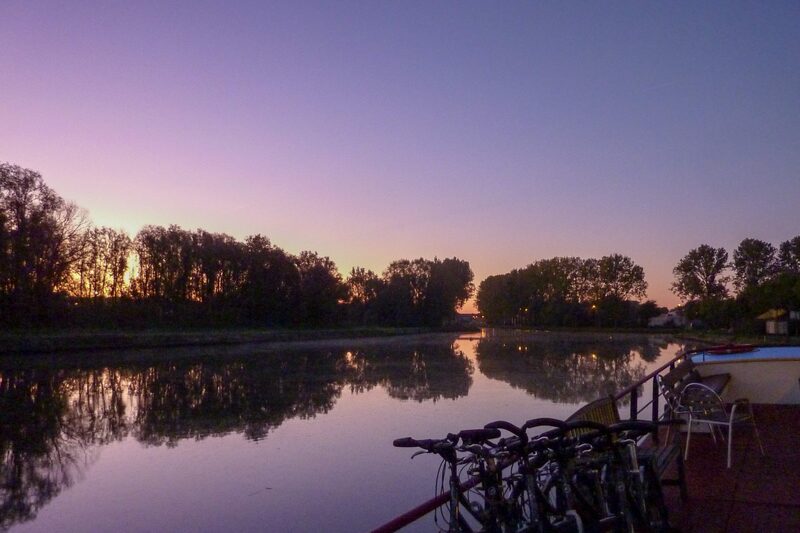 My favourite post this month was writing about the time my parents joined us on a 2 week bike and barge tour, cycling from Paris to Bruges – over 500km! This was in response to a Facebook memory that popped up a while ago and fitted in well with the timing of things. 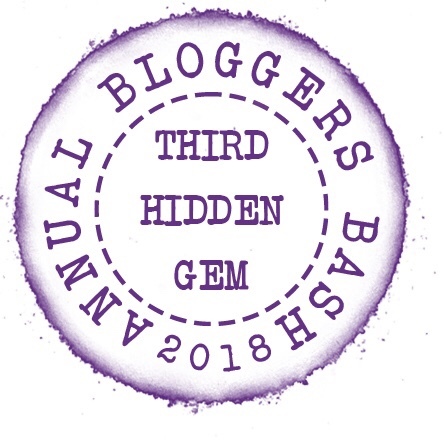 It’s also TIME for the Annual Bloggers Bash Awards with nominations now OPEN – read here for the links on how to nominate your favourite bloggers – NOMINATIONS NOW OPEN. This year the categories have all changed so make sure you read up on the rules and instructions. Good luck to everyone, I’m trying to sort out who to nominate as we speak – it’s very hard with so many of my favourites out there! We’ve had lots of experience with Rotary Exchange Students over the years and last year on our Odyssey we visited Annabell in Germany. She had been an Exchange Student in Tumbarumba for a year in 2016/17 and decided to visit everyone for a brief visit in the first weeks of the new year. It was lovely to see her again and have her stay with us. It was also good that she got to meet up with our current Exchange Student Anna, from Hungary, who is living with us at the moment. It’s been a long time since I had teenage daughters at home, let alone two! We all enjoyed ourselves and tried to stay cool. January is always a big month as we were married exactly a month after my 19th birthday, which means we celebrated 39 years of wedded bliss this year! Where has the time gone? And the Mathematician celebrated another birthday – his first as a grandfather as Papa G! Never, ever underestimate the importance of having fun! I have always enjoyed photography and while in Melbourne my sister and her husband very generously gave me some pointers and lessons on macro photography and editing processes. We enjoyed an impromptu photo shoot of some flowers my sister had received and I shared some of the purple roses in this post- Purple roses not purple rain . I’ve started my 2019 reading challenge quite well and am reading a mix of genres as per usual! I have just finished reading Pastures of the Blue Crane by H F Brinsmead. I should say re-reading, as I first read this book as a teenager. It was set around the Murwillumbah area, the town where I was born and visited for many years as my grandparents and cousins lived there. It’s where my mother still lives today after moving there with my father quite some time ago. It resonated with me more-so as a teenager but I still enjoyed the nostalgic trip, despite the dated language and ideas. 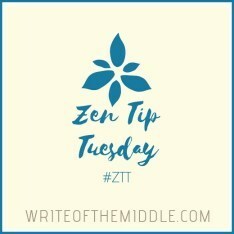 Have you ever re-read a book that your younger self had read and enjoyed? It’s quite a weird feeling. Why did I choose the word TIME for my WOTY? It’s funny how sometimes a word keeps jumping out at you in what you read, what you listen to or just in everyday conversation. That’s what happened with TIME, it just kept cropping up, so I decided to go with it and jotted down a few ways I am going to try to focus on TIME in 2019. You can read more about my WOTY in my post – How to get more TIME in 2019 but in the meantime here’s a brief excerpt. I think you’ll agree that was a pretty big month – full of fun, family and a great use of my TIME! Wishing you all a happy February, may you use your time to your advantage and make the most of your days. I’m hoping February will be a bit less busy but will have to wait and see what the month brings! What have you got planned? Hi, Deb – You have used your TIME very well. You definitely have your priorities in the right place. Loved the picture of you and Sue. Glad that your mom could join the meet up too! Thanks Sue, you’re a star! You certainly spent your time well last month! What a busy January, I wonder where February will take you? I really don’t know Debs – hopefully it won’t be such an intense month! It certainly a busy time. That was such a happening January..
What a busy month Deb, so nice to be able to catch up with friends and family as much as you have. And meeting up with Sue must have been brilliant. Its so good to bring these online friendships out into the real world isn’t it? Not sure we could have handled those intense temperatures but hopefully they’ll be starting to ease up now. Keep cool. Looks like you’ve been busy and have spent your time well! I had a good month and time was well spent with lots going on. Hopefully February will be a bit slower paced!! Thanks for the opportunity to share Dee! Sounds like a lot of good use of your Time. Thanks Nilla, I’m hoping it will be a touch quieter too! What fun that you got to meet Sue in person! I’m sure you had a great visit! It was fab Michele and she’s just as lovely as I imagined her to be. Yes sending heat over now, it’s on the way to you! 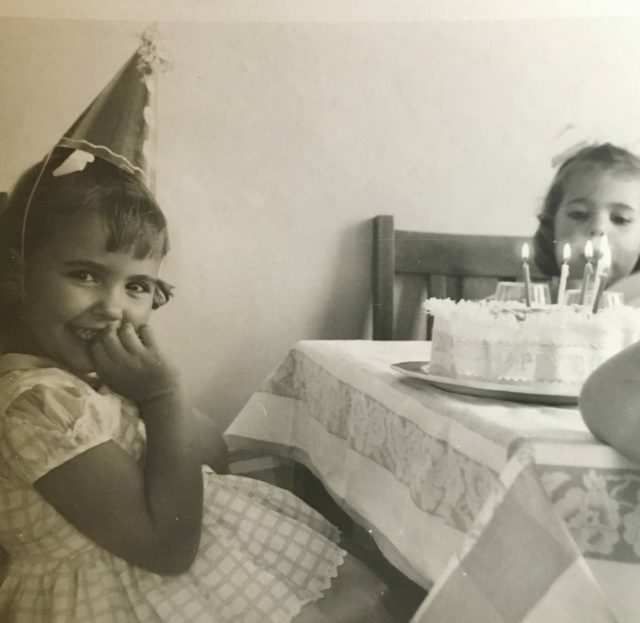 Thanks for your comment re my sister’s hair do, I was very happy with my hair skills and despite having three daughters I was shocking at doing their hair. They learnt to do it themselves pretty quickly 🙂 Thanks for stopping by Hayley! This post must have taken you forever, and I really enjoyed your angle… I don’t know how you fit everything in! Amazing that you had a blog meet up too – I’ve always wanted to meet Sue! Haha!! 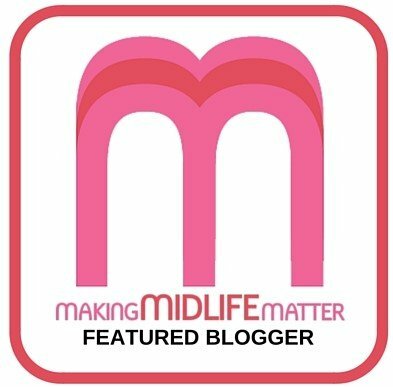 Yes it took me a while to write up during the month but it was time well spent 🙂 As you know I do enjoy meeting up with my blogging buddies. Sue was lovely, just as I imagined her to be, but she’s tiny, tiny! A great month Deb – lots of family time – which is definitely the BEST way to spend time. So wonderful that you could be there to support your sister and also to take time out with your Mum (with the added bonus of meeting up with Sue!) I’m heading towards the end of my Qld visit – but still have my lunch date tomorrow to look forward to with the other blogging girls – LOVE the Blogging Life!! Thanks Leanne, it was a good month with family and I’m very lucky to be able to do what I do. I’m glad you’ve enjoyed your Qld visit and enjoy your lunch date with your blogging girls x Can’t wait to hear all about it. Thanks Natalie, it was so good to meet up with Sue! Enjoy the month ahead. I love the idea of picking a word for the year- Not sure which word I could pick though! Great word Deb and you have definitely made the most of it already. What a whirlwind January you have had. I hope you get to take a few deep breaths in February. Thanks Jan, a whirlwind is a great description of the month! I’m trying to slow it down in February and take some deep breaths and rest up. Thanks Pat, I think you’re right, it’s going to be one of those words that keeps popping up. What a busy month you had Deb. There is nothing like spending time with family and especially the grands. Yes it was very busy Victoria! Hope things are going Ok with you this month. Thanks for your visit and sharing Cheryl, it’s lovely to have you join in. Yes January was huge and I’m happy to say February is a bit quieter so far! Enjoyed your post, varied and newsy! I loved your sister’s “side pony.” Congrats on the 39th wedding anniversary – ruby next year! yes ruby next year, where does the time go?? Sounds like you’ve had a busy month. Glad you got to be there for your family. January was busy for me too. I’m taking some time off in February, before our next move in March. I enjoyed your post, Deb. Hope you get some cooler weather soon. Thanks very much for reading Christina, it’s been a big start to the year and I’m hoping it doesn’t continue like that. Enjoy your time off this month. You are such a cutie pie. What a fabulous January you had. I didn’t realize you were such a talented photographer, too. The purple rose series is beautiful. I have always wanted to learn how to edit to eliminate all but one color in a photo or to alter the colors. I can fiddle around with filters after taking the photos but I don’t know how to isolate only one color. So glad you and Sue could pick and elevate your friendship to real life status. I haven’t met a single blogger that I am friendly with. 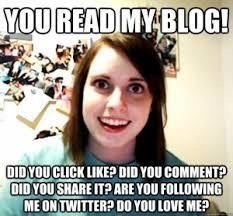 But I think I am about the only blogger in El Paso, Texas or within miles! I am very shy so it might be fore the best. Yay for time, family time, time to yourself, giving time and using it wisely. Excellent choice for your WOTY. Thanks for your lovely comment Leslie, I really enjoyed reading it. I am trying to improve my photography and am lucky to have my sister and brother in law as talented photographers. They share their tips with me and offer support and encouragement. It was fab meeting Sue, she is just so lovely. It’s so fun meeting up in real life, I hope you get to do it at some stage.